Founded in 1987 by Dr. Don Wong, APA consists of professionals and experienced home visitors who help families at-risk cope with the challenges of raising young children. For much of APA’s history, our focus was on mainly the Asian and Pacific Islander populations of San Francisco. The obstacles created by language barriers and by cultural conflicts in conjunction with unfamiliarity of western medicine, child care practices, and appropriate parenting skills often prevented our families from seeking and finding the resources necessary to overcome their difficulties. Family violence, social isolation, depression, and financial hardship were commonplace. Due to their cultural beliefs and language barriers, APA was one of the few resources these Asian mothers had in their new homes in the United States. We recognized this need and sought to help these families become stable and healthy environments through providing linguistically and culturally appropriate services such as in-home visits, emotional support, and translation services. Through the years, the community that we serve has changed. In the early years of APA, our clients were almost all new immigrants who came to the United States through arranged marriages or as refugees from Southeast Asian countries. Today, our client base not only includes these immigrants but also all families who face the challenges of parenthood. When parents face hardships such as financial insecurity, and familial problems, incidents of domestic violence and child neglect are more likely to occur. That is why APA’s mission is to create healthy families by providing domestic violence and child abuse prevention services. We do this not only through case management but also through services at our family resource centers. By providing parents a safe and welcoming place outside of their home, they increase their social circles and have a forum to gain their voice. APA Family Support Services is San Francisco's foremost advocate and service provider for at-risk Asian and Pacific Islander children and their families. Created with the goal of providing culturally competent services for new Asian immigrants in the community, we have since branched out, our services are made available to families of all ethnicities. ​APA has expanded from our San Francisco General Hospital location to 7 offices in 5 neighborhoods throughout the city. Between our main location in Chinatown and our three locations in Visitacion Valley, APA is able to reach and provide services to over 7,000 families annually, in different languages and dialects -- Cantonese, Mandarin, Tagalog, Vietnamese, Cambodian, Laotian, Thai, and Spanish. Our agency is comprised of experienced and passionate professionals who share the common goal of promoting and maintaining a safe and happy home environment for our families. We are a 501(c)(3) non-profit organization. Funding for our work comes from government contracts, foundation grants, corporate sponsorship, private donations, and car donations. Our annual fundraising Gala is in July. 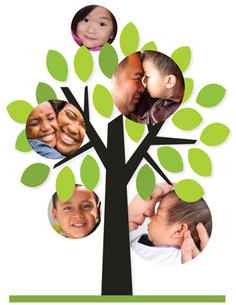 ​APA Family Support Services is a United Way of the Bay Area Certified Agency.